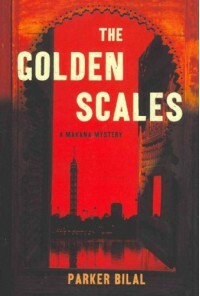 The Golden Scales is the first novel in the Makana series by author Parker Bilal. Private detective Makana is hired by a wealthy businessman to locate a missing football player. About to start the case he also meets an Englishwoman whose daughter disappeared in Egypt 17 years ago but keeps returning in the hope she maybe found. As Makana tries to find out what happened to the football player he begins to realise that the cases are linked.